July 14th, and another 23°28′, but in the southern hemisphere this time: I just passed the Tropic of Capricorn. 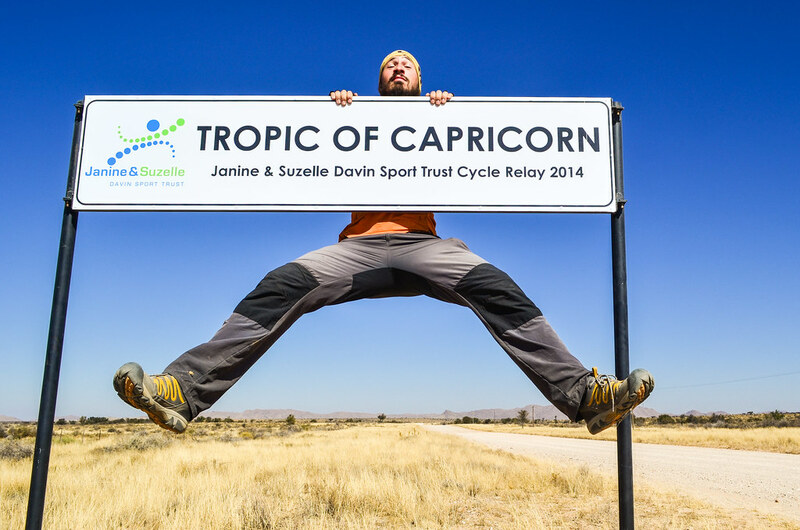 I had met the Tropic of Cancer in Western Sahara in March 2013 and the Equator in December 2013. So I’m now officially out of the tropics (even though it was 5° C last night in my tent, not really a tropical temperature) and today I’m heading straight to the dunes of the Namib desert.